If you haven't heard, My Little Pony has a special episode coming up on February 16th! It will be The first look at the newest addition to the royal family will be revealed when The Hub TV Network, one of the fastest growing basic cable networks,premieres the special all-new coronation episode of the animated hit series “My Little Pony Friendship is Magic,” Saturday, February 16 (10:30 a.m. ET). 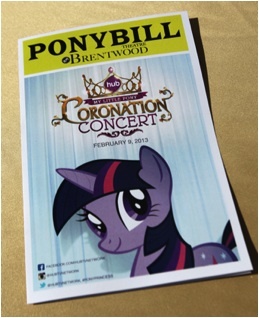 In thehighly anticipated episode, Twilight Sparkle becomes a princess, resulting in a flurry of special events from the network around the character’s coronation including anine-episode My Little Pony Princess Coronation Marathon Saturday, February 16 (6-10:30 a.m. ET)showcasing the character’s journey to her crowning moment. The series is produced by Hasbro Studios. To celebrate the episode, The Hub hosted a special LA-based, invitation-only “My Little Pony Friendship is Magic” Coronation Concert event hosted by Mallory Hagan, the newly crowned Miss America 2013 with a special guest appearance by Olympic Gold Medalist Carmelita Jeter. 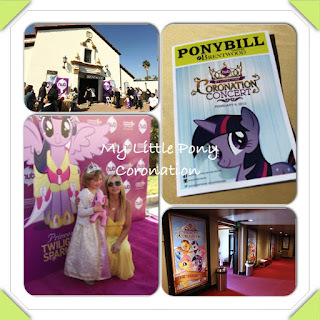 The My Little Pony Coronation Concert held this past Saturday, Feb 9 was a great success! 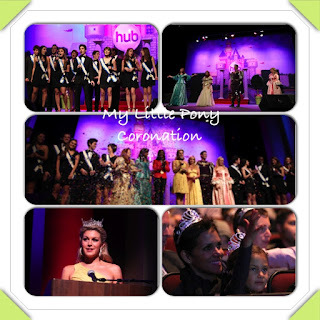 The live musical event and interactive screening hosted by the newly crowned Miss America 2013 Mallory Hagan with guest appearance by Olympic Gold Medalist Carmelita Jeter was well attended by close to 500 people. Celebrity attendees including Halle Berry and her daughter, Jason Priestley and his two kids, Aubrey Anderson-Emmons (Lily from "Modern Family"), Chloe Noelle ("True Blood") and 10 regional representatives from the Miss California organization. "My Little Pony Friendship is Magic" head writer Meghan McCarthy, composer Daniel Ingram, voice actress Tara Strong and writer M.A. Larson from the series were also in attendance. The show went incredibly well and was well-received by the audience. 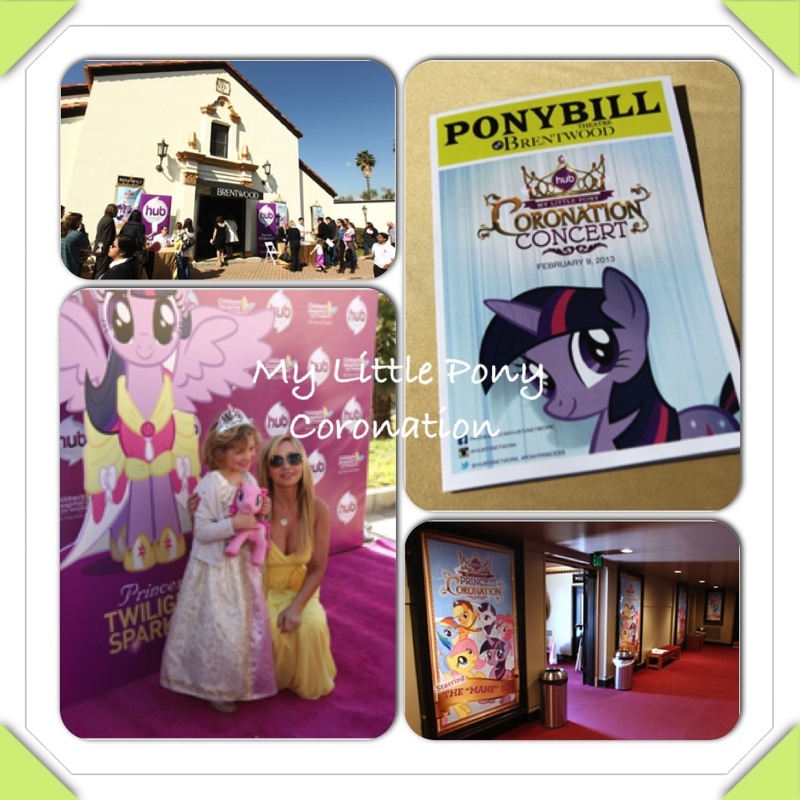 A magical time was had by all and was a perfect opportunity to leverage this hit show with kids and adults to garner more awareness of the series (and Saturday's big eagerly anticipated coronation episode) and The Hub TV Network.